1. Before you pick up the phone, first determine your A-Player Profile. Would you know hire better employees? How so? What would tell you that an individual you currently employee or that someone you are interviewing is an A-player? I know this sounds obvious, but you would be surprised at the lack of clarity within companies about the profile of an ideal candidate. If you don’t know exactly who you are looking for, you and your team will be slow to agree upon and actively pursue the right people. 2. As you review resumes, look for overall patterns of accomplishment. The best way to reduce hiring mistakes in an interview is to get a very clear picture of someone’s overall pattern of accomplishments in their life and career. Then, compare that pattern to your A-Player Profile for the role. Unlike mutual funds, with people past performance is the best indicator of future results. 3. When asking phone interview questions, start by asking initial screening questions to weed out unqualified people. For example, the company that I described above requires that applicants have certain software expertise and design experience. If you can’t determine this from the resume, ask about these abilities early in a phone screen. If someone does not meet these minimum criteria, they are eliminated and the phone interview is over. A quick note on such criteria: think carefully about whether you are using the right criteria to screen people in or out. For example, if my client found someone with proven sales ability but no design experience, should she take a second look at them? Maybe so. Only you can determine your screening criteria, but make sure that you are not screening A-players out because they lack industry experience. Industry experience alone does not make someone an A-player. In fact, if you limit your self to hiring your competitors’ castoffs, the chances of hiring an A-player are slim. 4. Starting with their most recent role, confirm their dates of employment, including both the month and the year. People often fudge these dates -- you want to verify them. 5. Role play: For each role, do some interview preparation so you can ask interview questions specifically designed to dig into their accomplishments. The best overall question to ask is: Please tell me briefly about the top accomplishments for which you were personally responsible while employed in this role? 6. Keep them talking: Ask job interview questions that keep the candidate talking, such as: How did you do that? Why so? Please tell me how you made that happen? What were the most important steps you took to make that happen? Such open-ended questions dig beneath a candidate’s initial, pre-planned answers and programmed responses to find out what he or she really did. 7. Next, ask a few specific questions; ask about people’s professional accomplishments that are tied to your A-Player Profile. How many projects did you sell per year in that role? What was the average size of the project you sold? How many other salespeople worked in your division of the company? Where did you rank among those salespeople in sales volume? Tell me about one failure that you had during that job? Who was your direct supervisor? If I asked him or her for their honest perspective on your strengths and weaknesses, what would he or she likely say? What percentage did your same store sales increase or decrease over the previous year? What was the average items sold per transaction at your store? How did that compare with other stores in your company? Where did your store rank in sales volume as compared to other stores? What was your biggest failure during this job? Obviously the questions you ask change depending upon the job, but every such phone interview question should be focused on a specific, measurable result that you know is critical to success in the role.You are looking for people who have real confidence in their answers. Such confidence is demonstrated when someone can tell you in detail how he or she made things happen. People who know what they are doing can describe in detail how they achieved the results in question. People who overstate their accomplishments often answer in generalities. Take a moment to write down the specific accomplishment-oriented questions you should be asking job candidates. 8. Take verbatim notes: I have found that jotting down the word-for-word responses that people provide during interviews is helpful. When you go back and look at your notes, those verbatim quotes will help you to recall the person’s strengths and weaknesses. 9. Score each candidate: Create a scorecard for yourself, particularly if you're a solo interviewer. For each characteristic, give a candidate a score of 1-4 where 1 is the worst and 4 is the best. Provide candidates with an overall score using the same 1-4 scoring system. 10. Select your finalists: Based on the answers to phone interview questions, select the top candidates for face-to-face interviews. 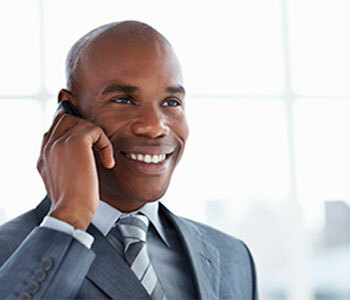 This approach to phone screening gives you a good overview of someone’s accomplishments in a reasonable timeframe. You will review some of this information in any face-to-face interviews, and dig deeper into other roles they have held. But the most important thing is that by phone screening this way, you weed out weaker candidates and identify the right people to interview in person. As a result, you and your team will spend more time interviewing truly qualified candidates and greatly increase your chances of hiring an A-player. Eric Herrenkohl is the author of the book, How to Hire A-Players (John Wiley & Sons, April 2010) and is President of Herrenkohl Consulting. Herrenkohl Consulting helps executives create the organizations they need to build the businesses they want. To receive Eric's free monthly e-letter Performance Principles, go to www.herrenkohlconsulting.com.